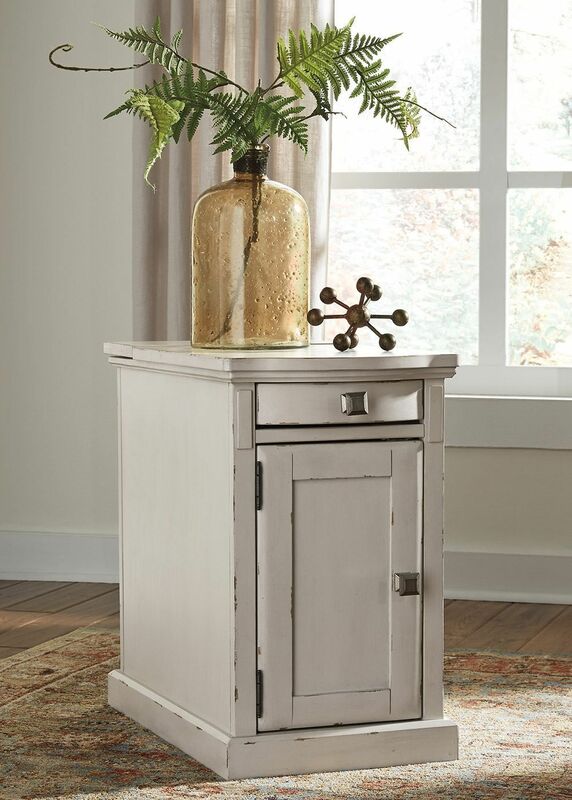 The Laflorn White Chairside Table is filled with unique and unbeatable features that you will not be able to pass up. 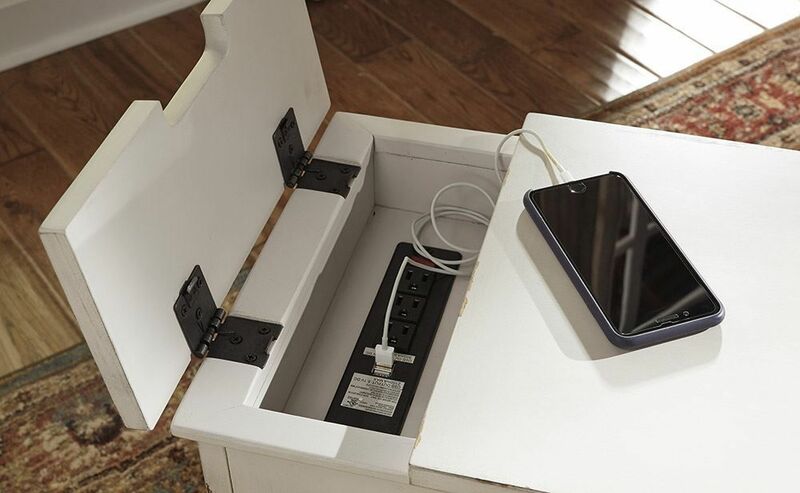 It has a flip up top that reveals a power port for all of your charging needs. 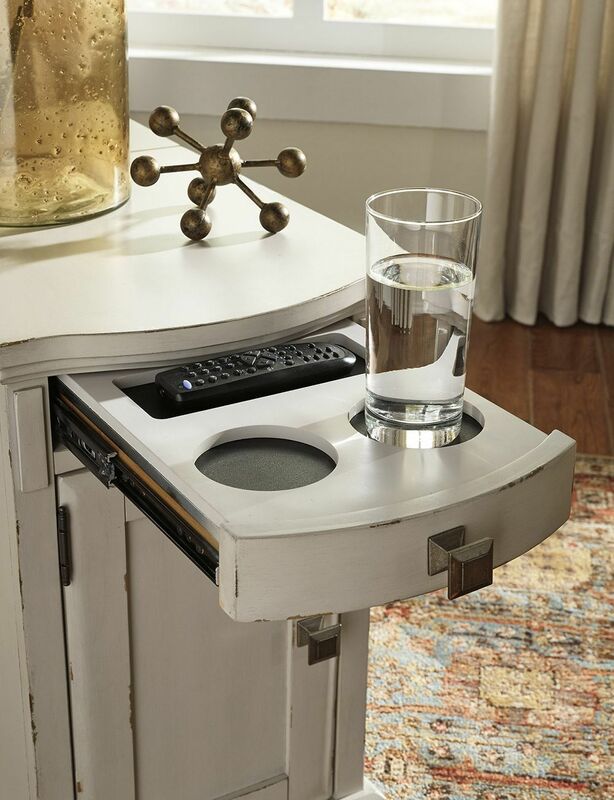 The pull-out tray and remote caddy will keep your warm and cold beverages safely secured. This table also features a magazine file on the back side. 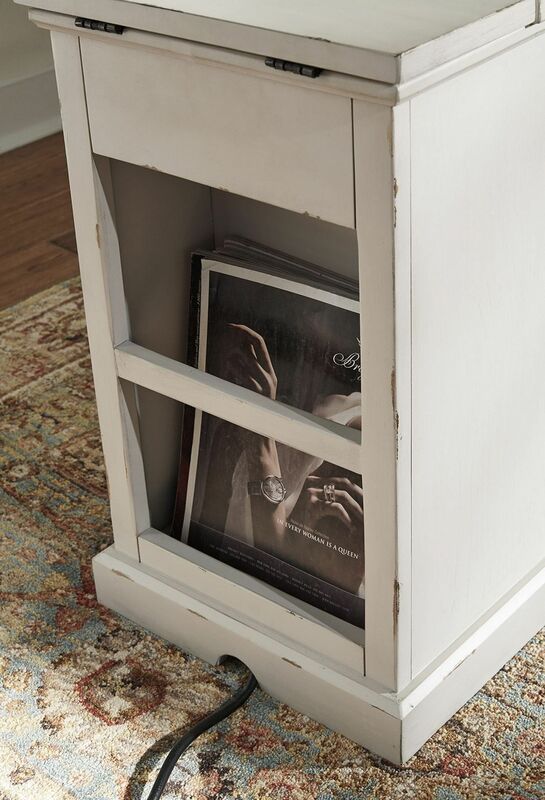 You will be pleased with more hidden storage that remains behind the door. 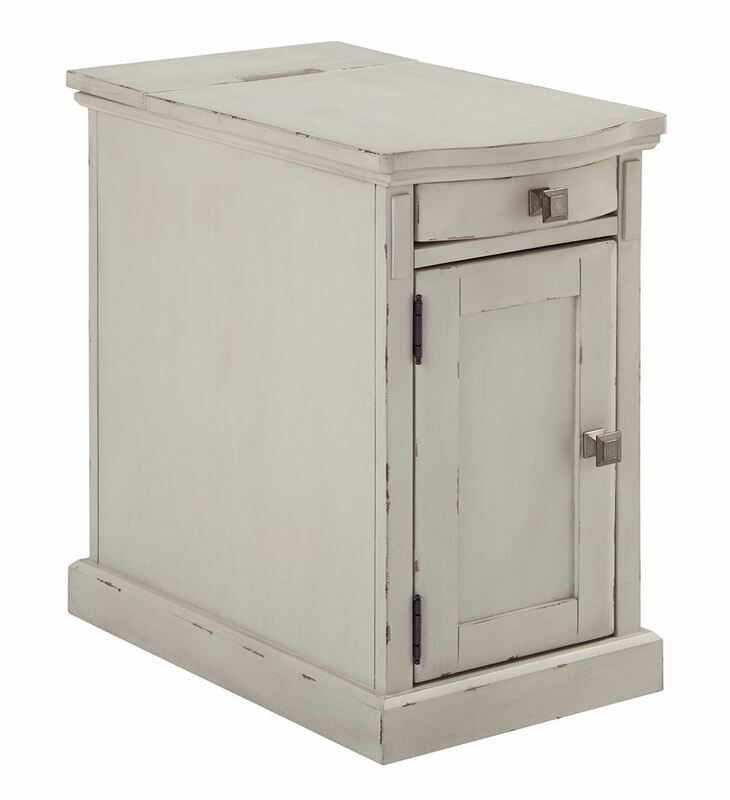 This lovely table is covered in a versatile white finish that will liven up your modern home. The Laflorn White Chairside Table is a contemporary beauty that you will not be able to resist.